Our organic cashews are known for their delicious creamy flavor, with a satisfyingly toothsome crunch. You can taste the loving care we put into these bite-size natural snacks at each step of the process. 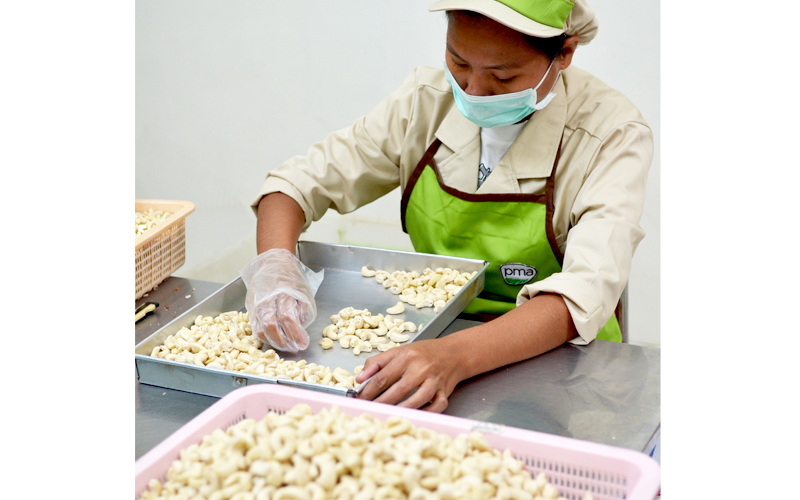 It starts with our plantations in eastern Indonesia, where the cashew trees are non-GMO (not genetically modified) and they are cultivated organically using all natural fertilizers and without any pesticide, according to both domestic and international organic certification standards. 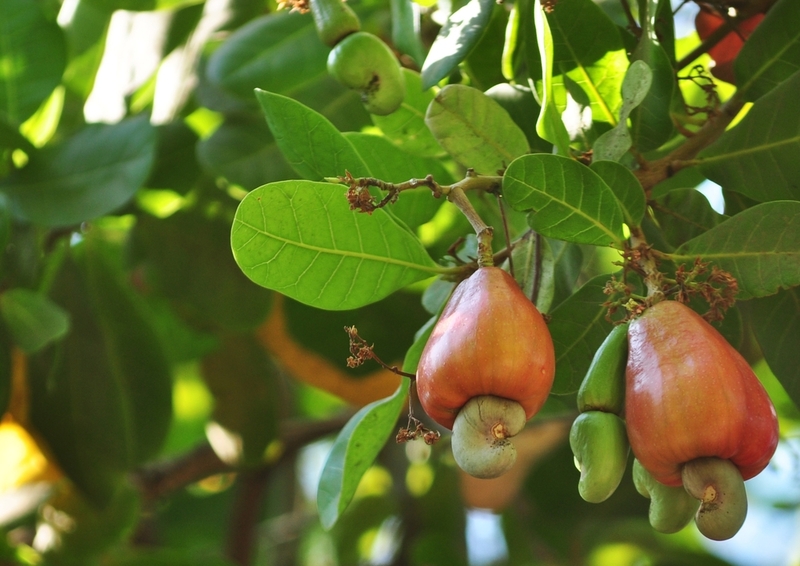 After the ‘seeds’ of the cashew apples are harvested by hand, they go through a process known as the 'Flores hand-cracking' method, which was first developed and pioneered by Rudolph Heering at PMA Indonesia. In this method, the hard shell is individually split open by a simple machine manually operated by a skilled worker, who is careful not to bruise or break the delicate creamy white kernel inside. After further cleaning by hand, the raw kernels are dried gently at 45°C (113°F) for 3 hours. This low-temperature processing also qualifies them to be accurately labeled and sold as ‘raw organic’ food. In addition to preserving their precious nutrition (cashews are a good source of heart-healthy monounsaturated fat, antioxidants and minerals such as copper, manganese, magnesium and phosphorus), this ‘cold-process’ also preserves the cashews’ natural creamy-sweet taste. Furthermore, no salt or other flavorings are added to our line of organic cashew snacks, so what you enjoy is the cashew’s delicious and pure wholesome goodness. Cracking the hard outer-shell with proprietary hand-operated machine. The exposed raw cashew kernel. Gently drying the raw kernels at 45°C (113°F). Our wholesome raw organic cashews, their creamy sweetness and nutritional values preserved by the cold-process of the Flores hand-cracking method.